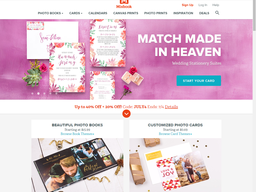 Mixbook Inc. is an online photo printing service based in San Jose, California, United States. They specialize in turning customers' digital albums in to printed photo books and other merchandise. The public website is Mixbook.com and they do not currently have any traditional walk-in stores. The privately held company was founded in 2006 by Andre Laffoon (who still serves as CEO) and Aryk Grosz (who still serves as CTO). It received its first round of major funding in 2008 to the tune of $1 million, which was topped up in 2011 by a further $11 million investment. In 2011 Mixbook acquired Scrapblog, an online scrapbook service, and in 2012 it acquired Yobongo, an mobile chat app. Mixbook.com is a very intuitive website that allows you to upload your personal photos from your PC, mobile device, or social media accounts like Facebook and Flickr. From here you can choose from hundreds of pre-set designs, or you can start completely from scratch to design your own using the edition suite. Basic tools include cropping and rotating, adding stickers, changing the background, and choosing from what they describe as the largest selection of free creative elements on the web. But what can you turn your photos in to? The main options include photo books, cards and calenders, but with the amount of customization available you will not be limited by choice. 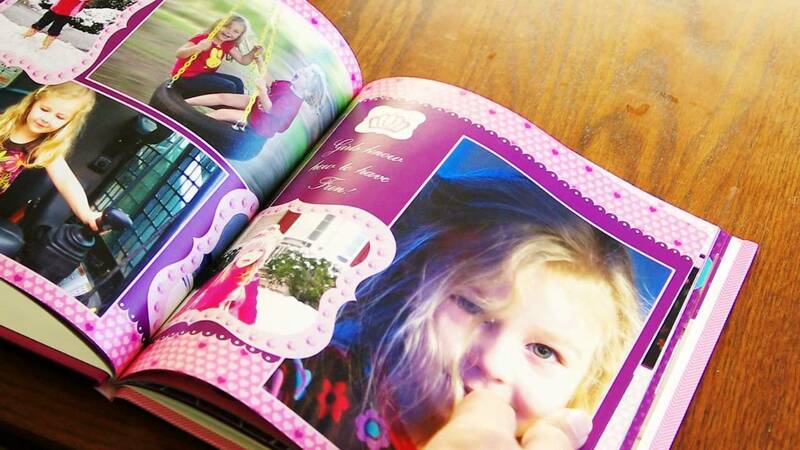 Common photo book styles include school Yearbooks, Wedding Albums, Corporate, and Romantic. Cards can be designed for all kinds of holidays and occasions, or you can simply make one on whatever theme you desire. Mixbook caters to both individuals and organizations, with special programs for schools and businesses. You can also buy gift cards in values from $20 to $150 so the recipient can make their own photo printed merchandise. Mixbook.com payments can be made with all major credit and debit cards, including Mastercard, Visa, American Express, Discover, JCB, and Maestro. You can Also use Paypal and China Union Pay if you're ordering from China. Some international customers can also pay using Bank Transfer. Gift cards can be redeemed for all or part of your order, with the remainder to be paid by your designated payment method. Mixbook ships globally including the United States and all of its territories, Canada, the United Kingdom, and China. Pricing varies depending on the type of printing you request, the size of your order, and the destination. In the US options include Budget, which costs $2.99 for a single item and takes 6 to 11 days, Ground which costs $8.99 and takes up to 6 business days, Priority which takes 5 business days and costs $14.99, and Express which costs $24.99 and takes up to 4 business days. Mixbook.com do not have set time period within which they accept returns, but returns are accepted if you believe the printing quality is poor or the item is defective in some way. To initiate a return you must first contact customer support via email, who when then give you further instructions. If accepted you will be offered a refund or store credit, less any shipping charges. Mixbook are not responsible for design errors made on your own part, or for photos that were low in quality to begin with. @d_glennon We do not provide book samples unfortunately! @brookeawindsor We'd love to get this photo printed for him! We'd love to help him display if forever!